Fujifilm are renowned worldwide as the great Japanese innovators of photographic technology. Their old twentieth century rivals have mostly all fallen by the wayside since the turn of the millennium and the digital revolution, but Fujifilm endure because they actually started preparing for the digital age as far back as the 1980s. 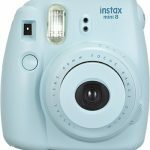 Their technological foresight also enabled them to foresee the current demand for classic instant film cameras, which is why we have such a model as Fujifilm’s Instax Mini 90 Neo Classic Instant Film Camera. 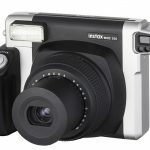 The Instax Mini 90 Neo features a retro-style design exhibited in a premium-build plastic casing which doesn’t feel cheap. But while it may have an ‘old school’ look and feel to it, it comes equipped with many modern features and functions to help any aspiring photographer express their artistic creativity and capture beautiful high quality photographs. 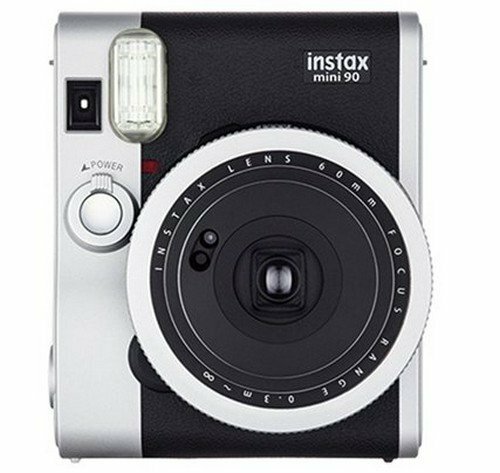 The Instax Mini 90 Neo comes equipped with several main camera modes which can be accessed via a large rotating dial that also allows you to change modes while looking through the viewfinder. The Double Exposure mode allows the user to express their artistry by pressing the shutter button twice in quick succession in order to superimpose two images onto one single frame. At its best, this mode creates wonderfully unique images, but may take a little practice and experimentation for beginners. Bulb mode is another creative function which causes the shutter to remain open for up to ten seconds to take night-time pictures or images full of light streaks (if the camera is moved while the shutter is still open). Usefully, the camera also features a standard tripod socket so a tripod can be attached to keep the camera completely still during these movement-sensitive modes. 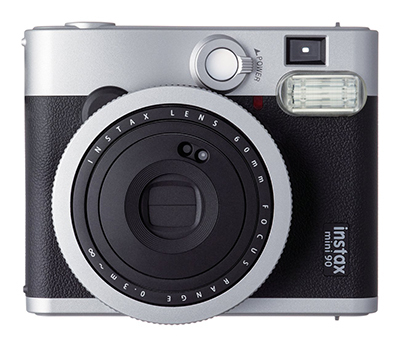 The Instax Mini 90 Neo also has several other more functional options such as the Macro mode for taking detailed close-up pictures and a Party mode which ensures the background is captured just as brightly as the main subject. The Landscape option is best used for scenic views or images of subjects that are further than 3m away. The Kids mode features an extremely fast shutter speed to capture clear images of moving subjects, such as restless children or animals. Another useful feature of this instant film camera is its brightness detection ability which can adjust the flash brightness and shutter speed to maximize picture quality. The high performance flash is also capable of emitting the ideal amount of brightness according to the subjects of the picture and the selected mode. The camera also comes with a shoulder strap, rechargeable battery and a charger, as well as an instruction manual. Overall, this is an excellent instant film camera once the modes and functions have been figured out. It will remind the user just how special and magical photography can be, primarily because each image it produces is a high quality one-of-a-kind physical artifact.